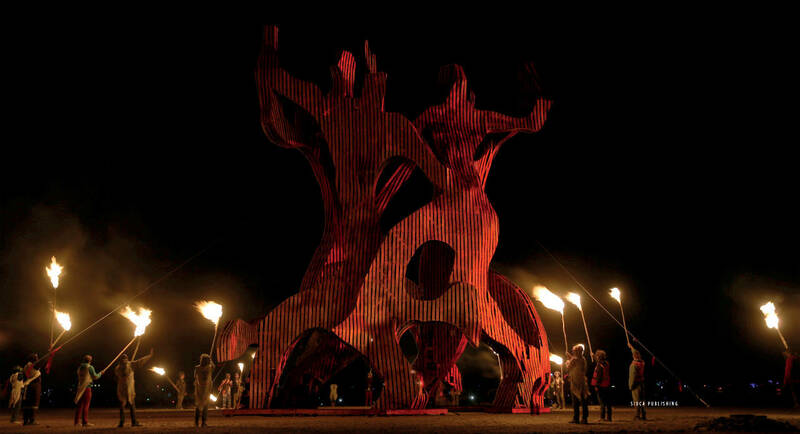 In late 2009 Simon O’Callaghan arrived in Cape Town and within a few months was travelling to the Tankwa Karoo desert with the builders of a 16-metre-high sculpture that was to burn in front of almost 2 500 people. This was the start of his Burn Journey.  AfrikaBurn is the most exciting interactive art spectacle on the continent – a suspension of reality, a blank canvas inviting a radical community to work, play and create at will. A cultural oasis emerges in the middle of a semi-desert landscape, pulsating with art, theme camps, costumes, music and performance. Its temporary citizens set aside their daily habits, cell phones and wallets to celebrate community, art, self-expression and self-reliance. To Simon, as a photographer, the visuals are delights. He started photographing many portraits utilising a large and heavy power pack to illuminate a 1 200W ring flash, creating colourful and beautiful images that he gifted back to the participants. The moniker ‘Ring Flash Guy’ was thus given to him. With a collection of images from the past seven years of AfrikaBurn, where artworks surpass 30 metres and which 12 000 people attended in 2016, many travelling from around the world to participate in the event, as well as having been a member of a group that took a kinetic fire show to Burning Man, Simon feels it is time to share some of the highlights of his wonderful journey. Books of this type are generally not financially profitable, rather passion projects. Attempting to keep true to the principles of the organisation yet recognising private investment was required, there has been a slight compromise in that the select group who made the project viable will receive a small return from any profits for their financial assistance in the publication, this project would not have been possible without them. The lions share of any profit is to be gifted to AfrikaBurn, this will be in the form of a new ‘Into the Flames’ art fund, ring-fenced purely for the creation of art at the event, not attempting to circumnavigate the current art fund but perhaps creating a different way of thinking for those who may find themselves much further out of the box than everyone else.. 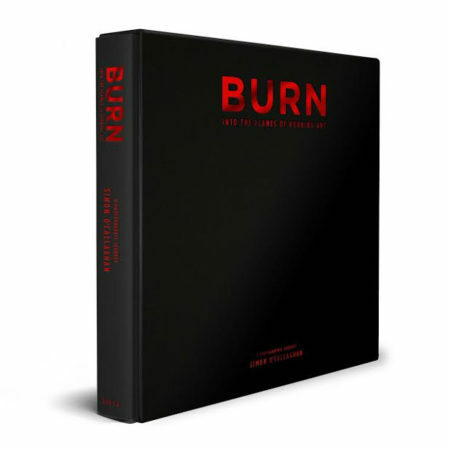 The book is to be printed in limited numbers, the Collectors and Deluxe editions fixed to their edition numbers. 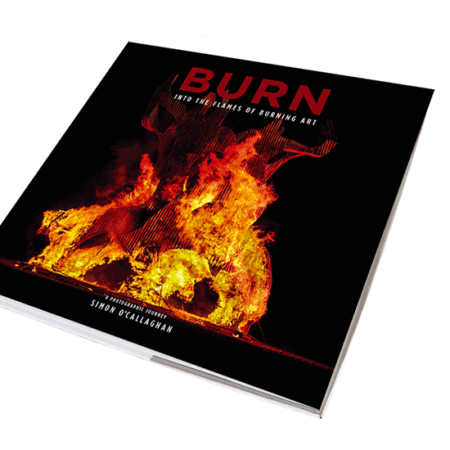 There are no plans for any reprint of the softcover edition. Having spent a couple of decades travelling and living around the world, seeking out different cultures and adventures, Simon O’Callaghan made his way to South Africa. Here he studied photography – one of his major passions – and graduated with distinction. Simon first attended AfrikaBurn in 2010 when he went to photograph the building of the Clan but ended up spending more time building than capturing images. He was part of the Fata Morgana build crew from its inception, their first project was created due to a desire to have fire move and tell a story, kinetic burning art, the spinning twirling dancers in 2011 was their first attempt. Lizzy the T-Rex in 2012, 2013 at AfrikaBurn and Burning Man. A year off let them build the Bakgatti art car in 2014. inFormul@ , slot car in 2015, Lizzy’s final run in 2016, and part of the clan building the Clan in 2017. In 2012 he became a member of the organisation and was asked to set up and lead the Photography portfolio creating and implementing both a media etiquette alongside an accreditation scheme with contracts. He has developed the policies regarding photography and helped develop the new media gallery. He continues to volunteer his time. In between his various roles he also managed to capture a few images. In the default world he works as a fine art photographer and printer while continuing to work in a variety of other photographic fields. His work has received many awards in numerous professional categories. 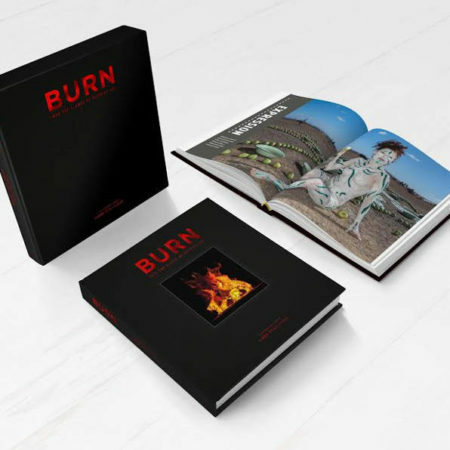 He continues his travels across the African continent and further afield with camera always close at hand, sometimes while chasing after a burning steel T-Rex in South Africa’s Tankwa Karoo desert. Many different perceptions exist in people’s minds as to what AfrikaBurn is, without attending it can be very hard to explain, but at its heart is freedom of self expression without judgement, participation and the creation of art / sculpture / (insert your term here) and then often to burn that piece. The artworks at the festival are created by individuals from all walks of life, some created by individuals and others by groups, some creators are professional artists in one form or another, yet many artworks are created by people who work in completely different fields. Often it is a chance for both groups to create something different from their daily expectations, for artists who work in a certain way or style, they are given the opportunity to create something completely different from those expectations. Others whom work in offices or other more default world jobs, it allows them to explore art creation. For all it is the conceptualisation and bringing together of ideas to completion, not always an easy task, but for all, however hard it can be, it is Play and the joy of Participation. As the years pass, the number of works increases and in occasional circumstances the size is becomes gigantic. 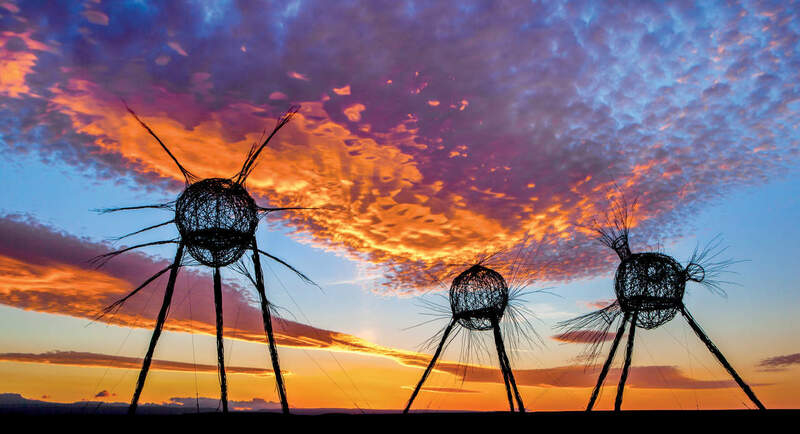 Many pieces are curated and helped by the AfrikaBurn arts portfolio, but often smaller works will suddenly appear overnight with no credits, and are always just as appreciated. Each year the event has a theme which can aid as a guideline for the artworks. The scope in variety and the amount of different ideas and concepts creates discussion fueling further thoughts and planning on building for the following year.